Donnell Ann Bell makes return visit to Killer Crafts & Crafty Killers today. Writing around the theme “Suspense too Close to Home” she’s the author of three books: The Past Came Hunting, Deadly Recall, and her newest release, Betrayed. Her debut and sophomore releases have been e-book bestsellers, and Deadly Recall is a 2014 EPICON nominee for best thriller/suspense. She co-owns Crimescenewriters with retired Veteran Police Officer Wally Lind. 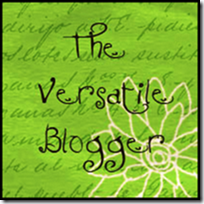 To learn more about Donnell and her books, visit her website. I’m always a little intimidated when I’m invited to blog on Lois Winston’s Killer Crafts and Crafty Killers. Although I write about killers, I’m hardly crafty about it, and when it comes to crafts, I’m something of a disappointment. 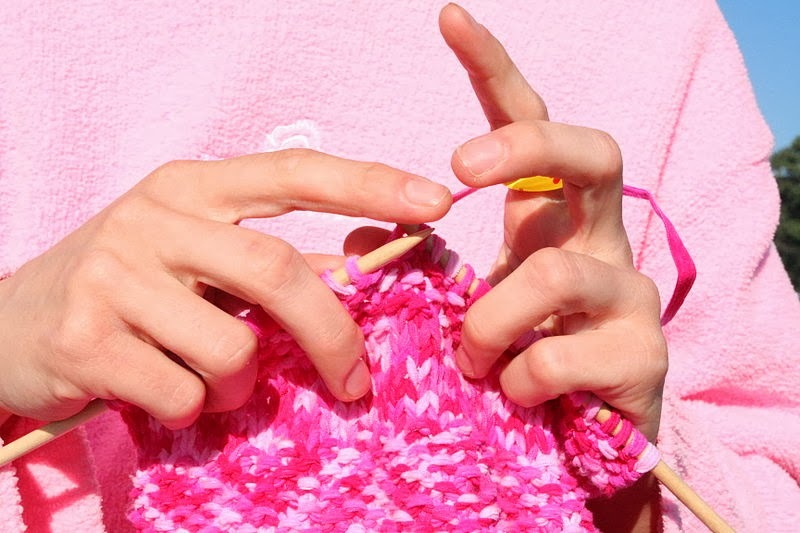 Take my sewing class –that worked out well. Not. My jump suit evolved into a pair of gauchos. I’ve dabbled in painting, crocheting, and floral arrangements, and although I love gardening, the point is, I don’t have the right muse for any of these jobs. 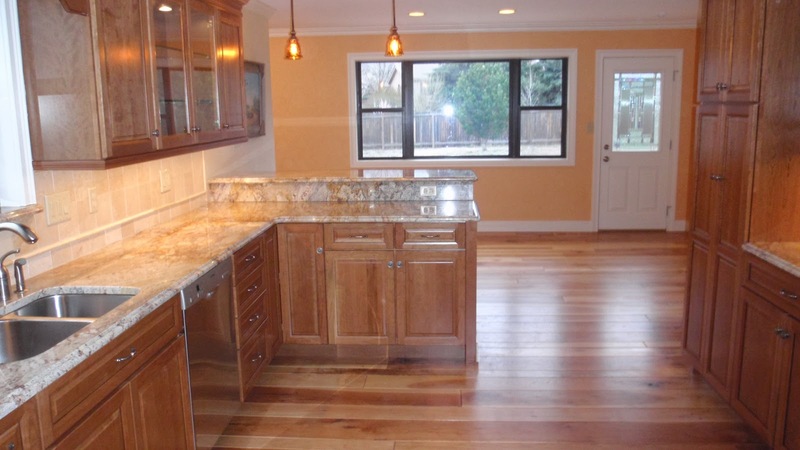 A few years ago, I had my kitchen remodeled. I was so excited. 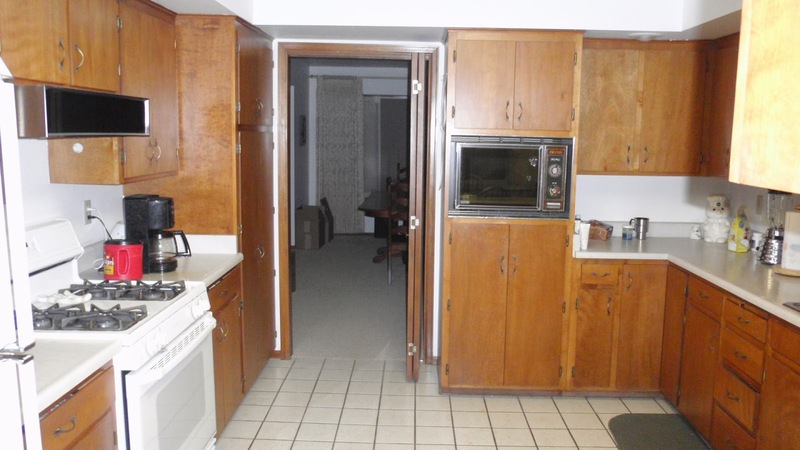 After seventeen years of austere white and plain cabinets and aging appliances, I would at last have the kitchen of my dreams. I looked around and went, “Huh?” His muse (skill and experience no doubt) was already hard at work the moment he walked in the door. In his mind he was already taking down soffits and knocking out walls. He could see something that I couldn’t even dream of. He was listening to his muse. 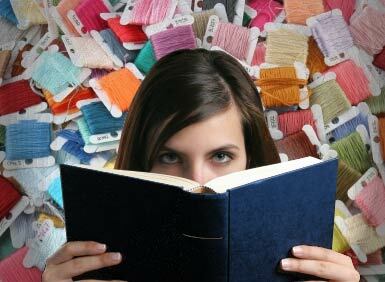 No, I’m not handy or crafty but I do see stories in my head, and they’re rather vivid. I love to think about characters and what makes them tick, and then put them into “What if” and sometimes impossible situations. My tools of the trade are words, and yes, my drafts often look like a construction site in need of OSHA supervision. 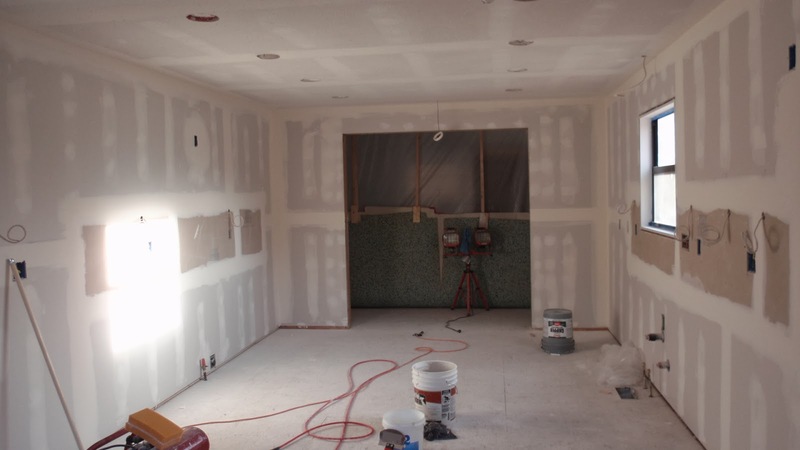 But much like my creative interior decorator friend or my contractor, I believe we all have muses that inspire and set us on a journey of creation. My talent and passion is storytelling. Further, I love suspense. 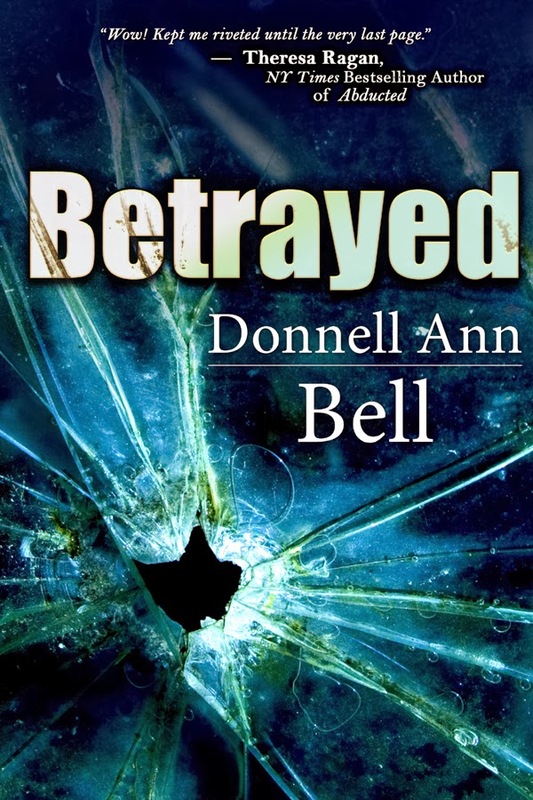 My third book from Bell Bridge Books is called Betrayed. 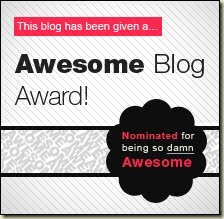 I hope you’ll check it out and see how my muse operates. Do you have a muse that speaks to you? A cold-blooded conspiracy that strikes at our most precious bonds. When Oklahoma City resident, Irene Turner learns the incomprehensible, that the stillborn baby she delivered 28-years earlier is alive, she takes the evidence to where her daughter now lives—Denver Colorado. Detective Nate Paxton can’t believe what Irene’s evidence shows him. Kinsey Masters, a world-class athlete, raised by a prominent Denver family, an unattainable woman he’s known and loved for years, was stolen at birth. Kris Bock writes novels of suspense and romance involving outdoor adventures and Southwestern landscapes. 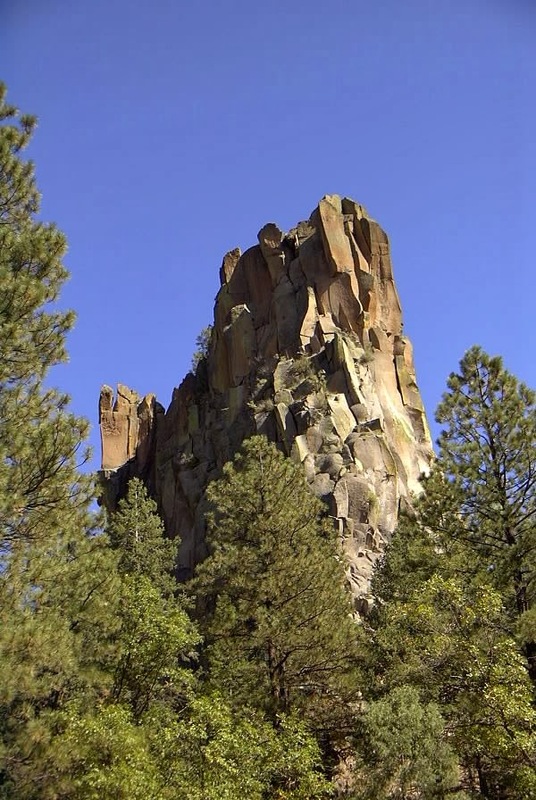 Each of her books is set in places in and around New Mexico. Today she tells us about four of her favorite places and the books they inspired. To learn more about Kris and her books, visit her website. Socorro: This town in the middle of the state is mainly a rest stop between Albuquerque and El Paso, except in October/November when huge flocks of cranes and snow geese fly in to the Bosque del Apache National Wildlife Refuge. But as a local, I know the special places nearby. Hikes can take you out in the desert or up to the mountains, visiting native petroglyphs or hunting for fossils. Hundreds of rock climbing routes provide adventures for everyone from beginners to experts. Plus, you have a good chance of seeing unusual wildlife, from roadrunners to foxes to great horned owls. 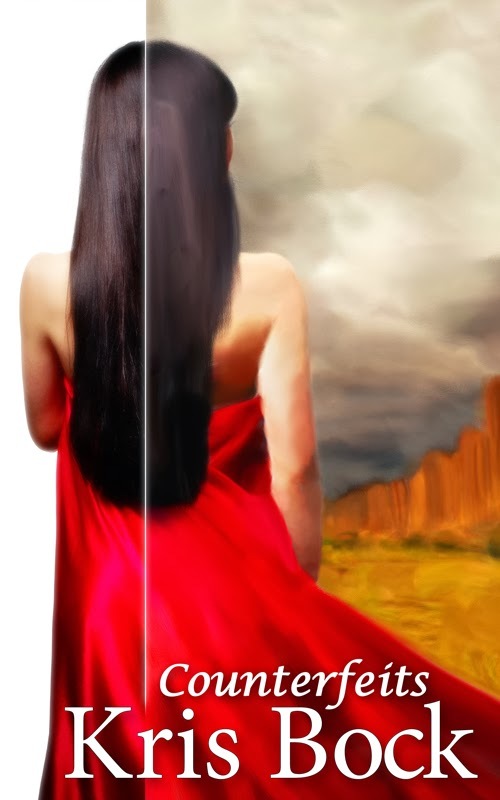 In my treasure hunting adventure, Rattled, the heroine and her best friend live in a fictionalized version of Socorro. They hunt for the lost Victorio Peak treasure, a real Southwest legend about a heretic Spanish priest’s gold mine, made richer by the spoils of bandits and an Apache raider. I drew on personal experiences hiking in the desert for Erin and Camie’s adventures – though fortunately I’ve never stumbled on a rattlesnake nest or gotten caught in a flash flood! Jemez Springs: This small town in the mountains of northwestern New Mexico is known for its hot springs. You can also visit the ruins of an old Spanish church; Soda Dam, a cool rock formation formed from the mineralized water flowing in the river; and Battleship Rock, so named because it resembles the prow of a battleship. (Pictures on my Pinterest page.) 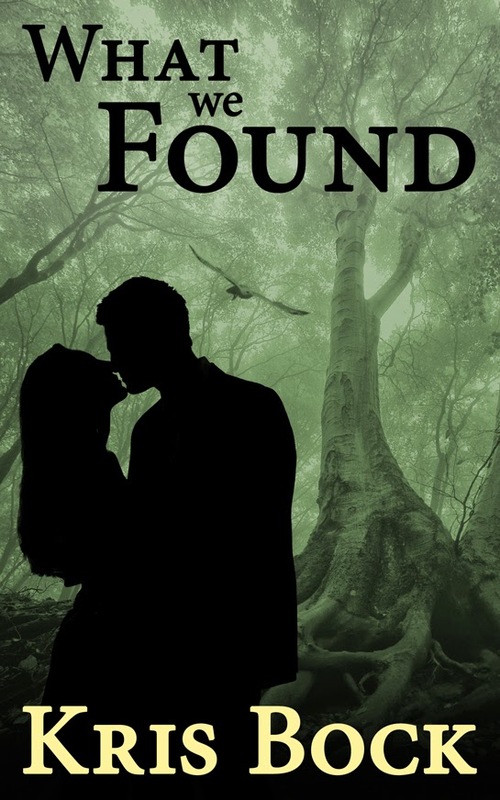 I’ve attended many writing retreats at a camp north of the town, and those experiences inspired Counterfeits, my latest romantic suspense novel. Of course, in the book, the site isn’t quite so relaxing. When Jenny inherits a children’s art camp outside of town after her grandmother’s death, she discovers that her death might not have been an accident after all. The men who killed her grandmother are searching for stolen paintings, and they think Jenny and her old friend Rob, the camp cook, can help. Doing research at a real camp tucked away in the woods, and hiking above Battleship Rock for a scene where Jenny gets lost, help the novel feel realistic. Hovenweep National Monument: All right, this one is not actually in New Mexico, but it’s close. Located on the southern border between Colorado and Utah, these ruins once housed 2500 people between A.D. 1200 and 1300. It’s one of many sites left behind by the ancestral Puebloans, also known as the Anasazi. It’s a smaller site than some, but that’s part of its charm. You can hike and camp without crowds. 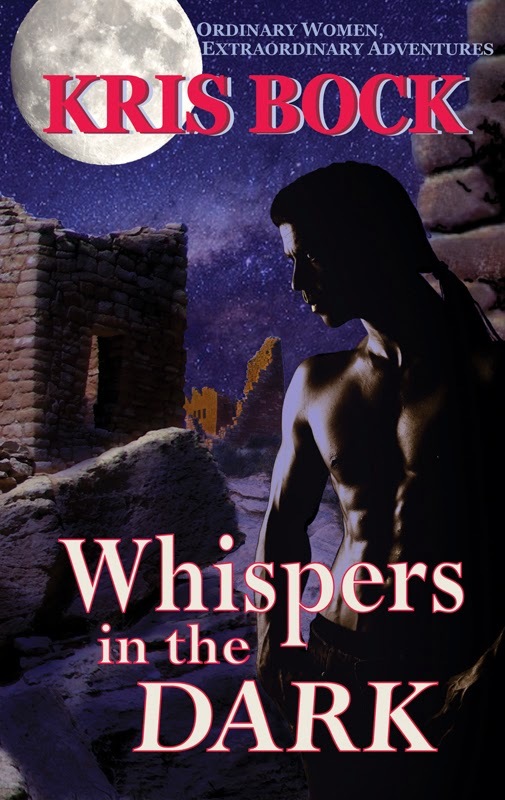 Hovenweep inspired my romantic suspense Whispers in the Dark. My heroine is an archaeology Masters student working at the fictional “Lost Valley” monument, which is closely based on Hovenweep. The lonely location allows for an almost Gothic atmosphere – mysterious lights in the canyon, spooky moaning sounds, and plenty of people hiding secrets. Lincoln County: What We Found is the most mysterious of my novels, and that’s true for the setting as well. I loosely based the mountain resort town in my book on Ruidoso, but more for the general location than the town itself. The forested town at nearly 7000 feet elevation is not what most people probably imagine when they think of New Mexico. Yet it seemed like the perfect place for the story of Audra, a young woman who stumbles on a dead body in the woods. More than one person isn’t happy about her bringing the murder to light. And in a small town, it’s hard to avoid people who wish you ill. This novel was inspired by the true experience of finding a body, as I described in this blog post. I also spent time with a man who raises falcons and hawks (photos on my Pinterest page), and that comes into play in the story. It’s the chance to meet such fascinating people that makes New Mexico a great place for a writer! 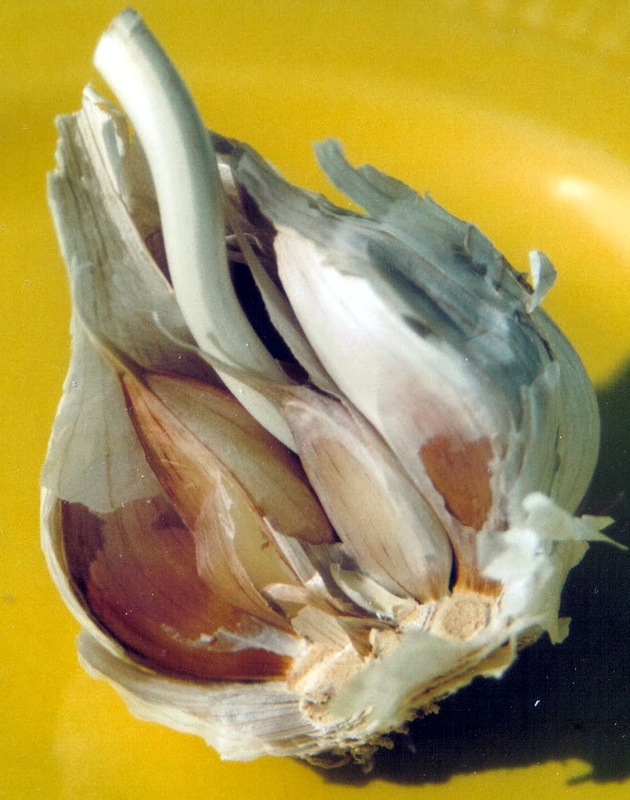 Garlic has been used for medicinal and therapeutic properties for thousands of years. Back in ancient Greece Hippocrates, known as the father of Western medicine, prescribed garlic for treating respiratory problems, poor digestion, various diseases, and even parasites. Throughout history garlic has been used around the world to treat bronchitis, high blood pressure, colic, diabetes, fevers, and other ailments. Today garlic is still used by many people to prevent various cancers and promote heart health. Research has found that eating garlic seems to boost hydrogen sulfide in our bodies. Hydrogen sulfide is an antioxidant but is poisonous in large concentrations. People who eat diets rich in garlic appear to be protected against certain cancers and heart problems. Additional research has discovered that exposing garlic to air after it’s chopped promotes the enzyme reaction that releases the cancer-fighting compounds within the garlic. So let your garlic sit for fifteen minutes after you mince it. Jesse Kimmel-Freeman has written six novels, four short stories, four illustrated children's books, been part of several anthologies and is actively working on the next pieces to her series. Learn more about Jesse and her books at her website. Hey everyone! Food is such an essential thing when writing. I mean our characters have to live off of something, right? There are certain things in each of my stories that if you know me, then you know why they’re there--like Barqs Root Beer and Galaxy milk chocolate bars! But one of those things that’s really important to me is finding a way to connect my characters to each other. 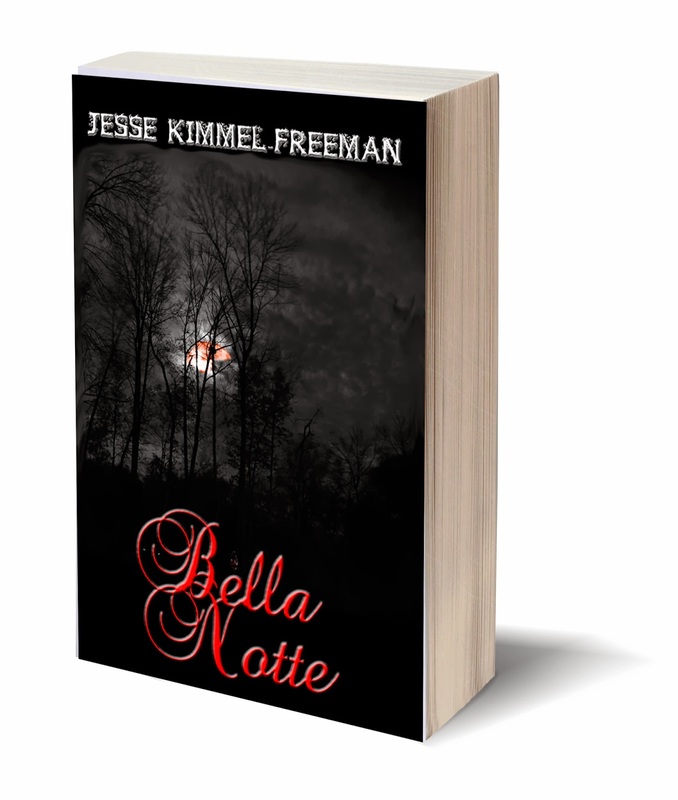 In the scene below, Emma and Dominic (two of the main characters from the Bella Vampires Series) are finally connecting to each other in the first book, Bella Notte. This meal that Dominic makes for Emma is so vital because there was such a HUGE disconnect between the characters in the beginning--he was a total jerk! “So, what are we making?” I asked as I looked over the ingredients--artichokes, eggs, a lemon, some parsley, olive oil, dry white wine, and salt and pepper. “We are not cooking. I am cooking for you. I am going to make you artichoke frittata. It is delicious. 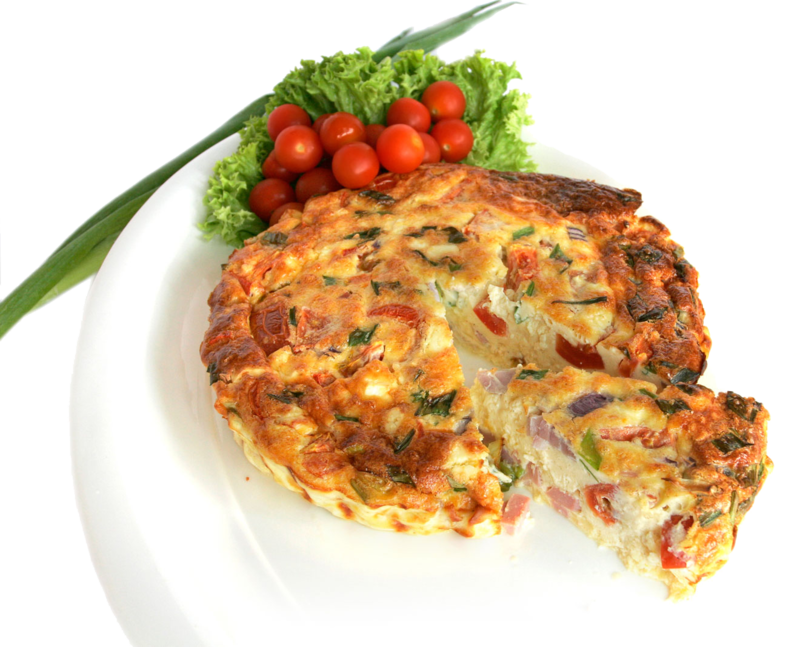 It is like an omelet but different. You will enjoy it.” He sounded absolutely sure of himself. I sat and watched as he prepared the artichokes and placed them aside in water and lemon juice. Then as he beat the eggs and shook random amounts of salt and pepper into them. He sautéed the artichokes in the oil and wine. Then he threw in some more spices and then the eggs. It took only a few minutes but it was amazing to watch. I had never had someone close to me cook. Watching him cook was fun and exciting. He cut it in half when he was sure it was done and had cooled then he served it to me. It looked a little on the scary side but I wouldn't let that stop me. I took a fork full and chewed. It tasted great. It was thicker than a regular omelet, but it seemed that this feature helped the flavor of the artichokes come through. We ate in silence. I helped to clean up afterwards through his insistent complaints. “You cooked, I'll clean,” was all I said. We said good night and I went to bed. I thought to look for another email from Mike but I didn't want anything to ruin the peaceful atmosphere that still clung to me from the kitchen. I enjoy being around him sometimes. He brings a peace to me. I closed my eyes. The recipe itself wasn’t what was so important (although it’s quite tasty), but the connection that is finally beginning between these two! Emma was getting to see a completely different side than what she had experienced back in her hometown. This is the true beginning of them. To prepare the artichokes, take off the tough inedible outer leaves, and slice the spiked tips of the remaining outer leaves. Slice about ¾” from the top of the heart, and cut off the stalk where it joins the base of the leaves. Rub the cut surfaces with the lemon to prevent blackening. Quarter each artichoke lengthways and remove the fuzzy centers from the heart. Cut the quarters lengthways into thin wedges or can make them thicker if desired. Squeeze lemon juice over them. Preheat the oven to 350°F (180°/gas 4). Heat oil (can use butter if you want) in a non-stick frying pan over medium heat. Add the artichoke wedges and gently saunté over low heat until brown on both sides. Add the garlic, white wine and half the parsley. Cover and cook over low heat for about 15 to 20 minutes until the artichokes are very tender and the liquid is basically gone. Season to taste. Mix up the eggs in a bowl. Add the milk and whisk again until even color. Add the cooked artichokes to the eggs. Season to taste and mix again. Pour the mixture into buttered baking dish. Bake in the preheated oven for about 20-30 minutes until the eggs are set. Not all ovens are the same, so there might be a time variation. Serve warm or cold but not hot. Vampires? Check. Werewolves? Check. Death prophecy to hang over your head? Double check. Seventeen-year-old Emma Hutchinson struggles to find her place in the world she has been born to as she tries to decide whether she should be with Michael, the boy she has been dreaming about since she was three, or if she belongs with Dominic, her betrothed. 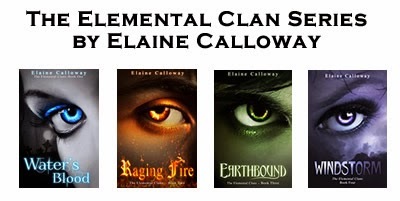 Elaine Calloway writes paranormal/fantasy novels with romantic elements. Currently, she is working on her Elemental Clan Series, a set of good versus evil tales between nature’s Elementals (Water, Fire, Earth, Wind) and the evil Fallen Angels who hunt the innocent. To learn more about Elaine and her books, visit her website. My confession—or self realization, if you will—is that I’m creative. It’s not an observation; it’s something I have no control over. In the absence of creativity, my mind actually does go berserk. Creativity will out, no matter what. In the last few months, at my day job, I’ve had a huge amount of mundane tasks to finish. When I say mundane, I mean horribly repetitive, mind-numbingly boring tasks. A day or two of this isn’t bad. Crank the radio, give the mind a break, and go-go-go get it done. Great therapy for a day or two, but an entire month? Not so much. In other words, I went a bit nuts. But don’t call the men in the white coats just yet. (Does anyone besides me ever wonder if they wear different colored coats just to rebel?) You see my conversing with umbrellas is not a yell for help. Or Thorazine. It just means that my mind has to do some form of creative activity or it can’t function. So in the absence of challenging tasks or being able to leave the building and write during lunch, my brain resorts to rock puppet shows and umbrella dialogue. 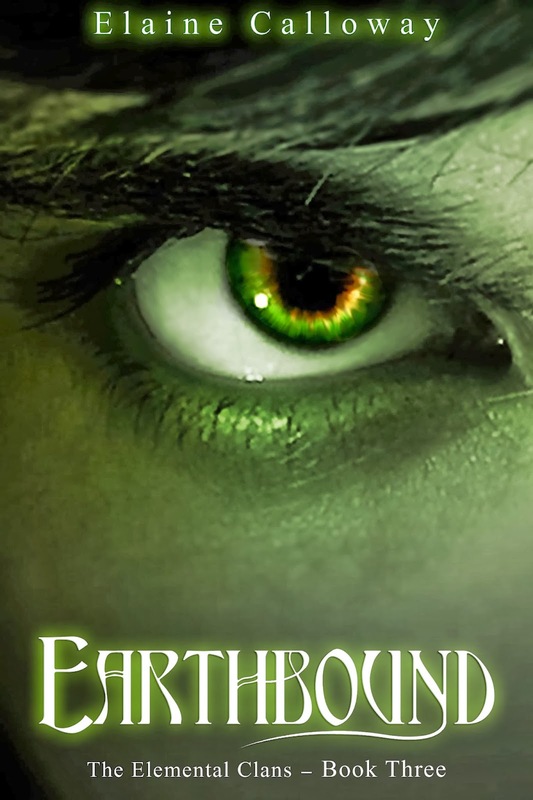 Some say history repeats itself, but for Terran, an Earth Elemental, history has returned and slapped him in the face. Along the Willamette River in Portland, Oregon, the Acobi Fallen Angels have decided to go underground–literally. Resurrecting an ancient legend, the evil Acobi are trapping underage girls and shanghaiing innocent humans into slavery. Terran must stop the Acobi and keep the public away from the Shanghai tunnels, all while keeping his supernatural powers hidden. Terran and Kelly must work together and come to a truce–or they may be the next victims. Author Sibelle Stone joined us a few weeks ago to talk about her latest release, the steampunk romance Prudence and the Professor, and educate us on exactly what the steampunk genre is. 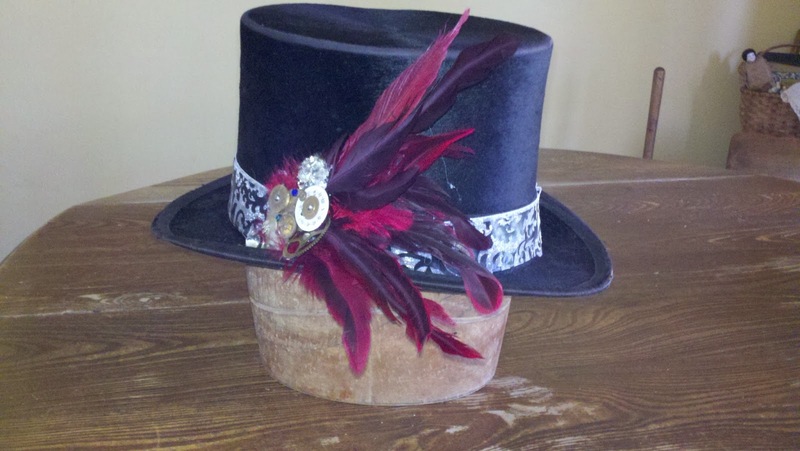 Today Sibelle is back to discuss another element of steampunk—fashion. Learn more about Sibelle and her books at her website. I came to the steampunk world via a local gathering—Steamcon—and discovered how much I loved the artistry of creating the fashions. 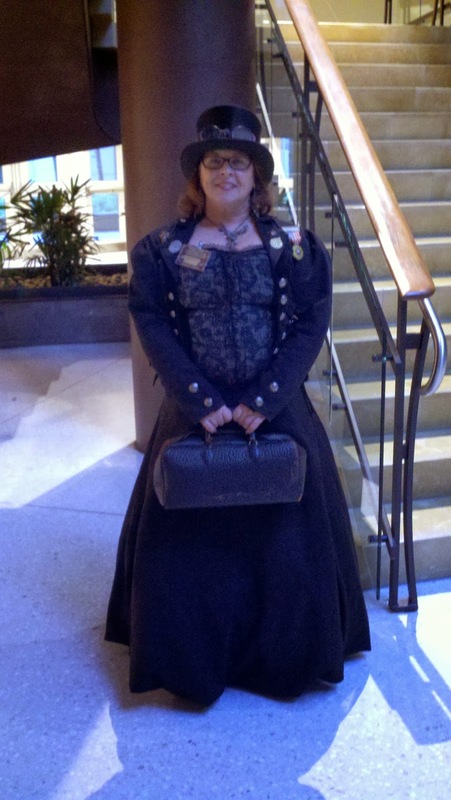 My first experience with dressing in steampunk style was five years ago, when a friend asked me if I wanted to attend the first Steamcon event. I really didn’t know much about steampunk, but the cost of the weekend was cheap, it sounded like fun, so I went along. Since then I’ve broken out the sewing machine, found items at the Goodwill, created my own jewelry and discovered some great pieces at antique stores. The culture of steampunk is DIY and “modding” (this means to modify something to become steampunk.) For many of those who love the aesthetic of steampunk, it’s a good part of the fun! While on vacation with my husband we always stop at antique stores, and when I climbed some stairs at a store and discovered a beaver top hat in a locked cabinet, I knew it was going home with me. But, the store owner didn’t have the key! I was very persuasive and he decided since the hat belonged to his sister, the sale was more important than the lock. I’ve fallen back on my years of sewing to create several outfits. This was a painstaking project, a lined full-length coat, and my enthusiasm disappeared when I realized the finished project was too small. I hadn’t paid enough attention to the measurements on the pattern. The coat was part of the steampunk photo shoot for my book cover for Prudence and the Professor. This past year, I created an outfit I refer to as “Pinkie Pie” in honor of my granddaughter’s favorite “My Little Pony.” I wanted to move away from the black/gray/brown color scheme, because Victorian’s loved color. There were new dyes in the late 1800’s, and for the first time people of all income levels could enjoy wearing colorful clothing. What does it take to create a steampunk outfit? There are so many variations now, that you can let your imagination go wild. First you should think about your character, who do you want to be? 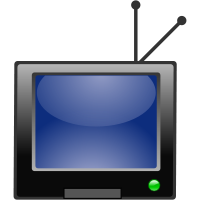 Then create a list of things to collect or make. Long skirt or short? Bustle or petticoats? Pants? Vests? And while goggles are not mandated, they are a lot of fun. Search Google images and Pinterest for inspiration, then get creative. Note: In honor of my recent release: Prudence and the Professor I’m offering my first Sibelle Stone book, Whistle Down the Wind, free on Amazon, February 21 - 24. Download it here. Melinda Curtis writes the Harmony Valley series of sweet romances for the Harlequin Heartwarming line as well as independently published, hotter romances as Mel Curtis. Her latest release, Summer Kisses, is part of the Harmony Valley series and set in a small town winery. Today she joins us to discuss wine. 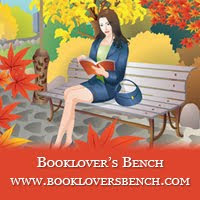 You can learn more about Melinda/Mel and her books at her website. There are many things in life that intimidate me – modern car engines, tax forms, computer viruses. But not wine. Yes, I’m from California. Yes, I worked at a winery. Yes, I’ve earned a certificate from the prestigious UC Davis wine appreciation program. But learning all the complexities is like learning a foreign language – if you don’t use it, you lose it. I admit: I’ve forgotten more about wine than I’ve retained. And so, when people turn to me for advice about what wine to order, I developed a bit of shorthand. Do you ever drink wine or spirits? If spirits, are you a mixed drink or straight person? Do you drink black coffee or lattes? Do you drink full-sugar soda or diet? Orange juice, cranberry juice, or grapefruit juice? Prefer chocolate for dessert or fresh fruit? Season your steak with salt/pepper, a combination of dry seasonings, or a creamy sauce? You don’t need answers to all the questions, just a starting point, a hint, a clue. And you don’t need to follow the “wine rules” (red with red meat, white with fish/poultry). That’s old school. My cheat sheet is below. My caveat: this is a system that works for me. You might have different preferences and that’s okay, too. If I’m with people who don’t normally drink wine, I veer toward white wine, usually something lighter, like a Sauvignon Blanc. These wines – especially the ones from New Zealand – are very soft and subtle and generally please everyone. Sauvignon Blancs from California tend to have a hint of grapefruit. If you’ve got full-sugar soda or orange/cranberry juice drinkers, try a Riesling or a Moscato – although these aren’t what I’d recommend drinking with your main course, as they’re rather sweet. If someone likes lattes or chocolate, a “rich, full-bodied” Chardonnay would be good (stay away from “oaky” Chards for this type of drinker). One warning about Chardonnays: they come in more flavor variation than jelly beans – never assume if you like one Chard, you’ll like another. 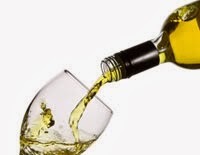 Finally, if you have a mixed bag of flavors being mentioned in your group, try a white wine blend. These are usually lighter in body and flavor, blended to please a broader spectrum of wine drinkers. Some have a hint of sweetness, some a hint of brown spice or floral notes, so they aren’t boring. If I’m with wine drinkers, I’ll veer toward red wine. Merlot is something I choose for people who like creamy sauces and is safe for a mix of wine appreciation levels (hard to screw up and not a wine with tons of different flavors at affordable levels). If people like black pepper and strong spices, I might choose a Syrah or Chianti. If chocolate or lattes came up, I might choose a Pinot Noir, but one from a drier climate (Oregon Pinots taste softer to me). If there were preferences for fruit for dessert, I might choose a Zinfandel or a Shiraz. I’ll choose a Cabernet Sauvignon if people like strong flavors (black coffee, pepper, straight spirits) and there is red meat coming to the table (probably the only wine type that I consider doesn’t go well with white meat or fish – but that’s just me). Remember how I compared Chards to jelly beans? Same applies to Cabs – lots of styles and flavors, therefore harder to pick one that pleases a variety of palates. Wine is a lot like the different coffee drinks available at Starbucks. You can get a plain, but good, cup of coffee, add different tastes to that cup (shake some cinnamon on top, add creamy whip, etc. ), or have the coffee be a complement to heavier flavors (chocolate, caramel, etc.). It fits your mood and your taste buds. Wine does the same thing. Selecting a wine is a little adventure and when you ask people for their preferences, they become vested in that adventure with you (and therefore the adventure’s success isn’t all on your shoulders). If you’re nervous about making a decision, you can always ask for a taste of something to see if you like it before you commit. Have fun! Rebecca MacKenzie's career as a caregiver for the elderly suited her perfectly. Ease their suffering, hop back in the motor home and move on. Caring without commitment. It was ideal for someone trying to outrun her memories…and mistakes. Someone determined to stay detached. Flynn Harris, her new patient's grandson, is weakening her resolve in every way. His scrutiny, his suspicion—and worst of all, his kisses—are more than distracting. They're dangerous. 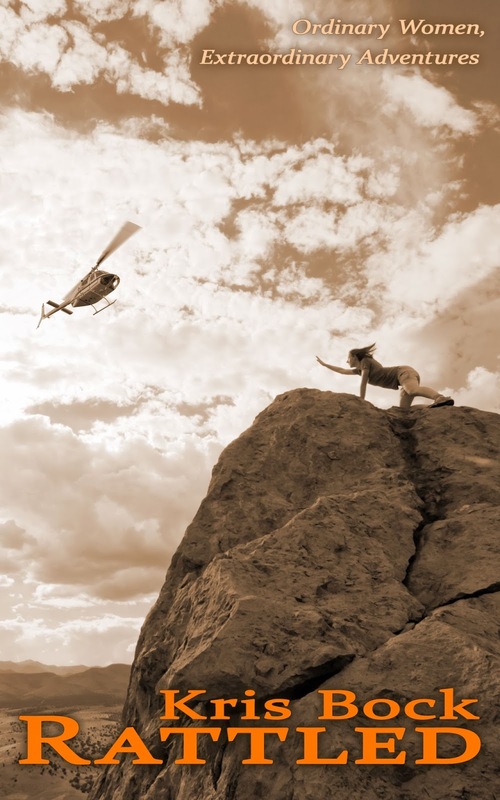 Because she's teetering on the edge of caring. And revealing her secrets. And…staying.